We’re firm believers that fragrance adds the same personal touch to any outfit as any statement earring or clutch, only with even greater head-turning power (if we do say so ourselves). In fact, no matter what else our beauty routine entails on any given day, spritzing on our favorite perfume is always the final step. Not to be dramatic, but we actually feel naked if we walk out the door without it. The scent we’re accessorizing with this season is Jo Malone English Pear & Freesia Cologne (available at Nordstrom). It’s fresh enough to wear on a daily basis but unique enough to feel like it was made just for us. Below, find out why we’re loving this perfume for the holidays and beyond. 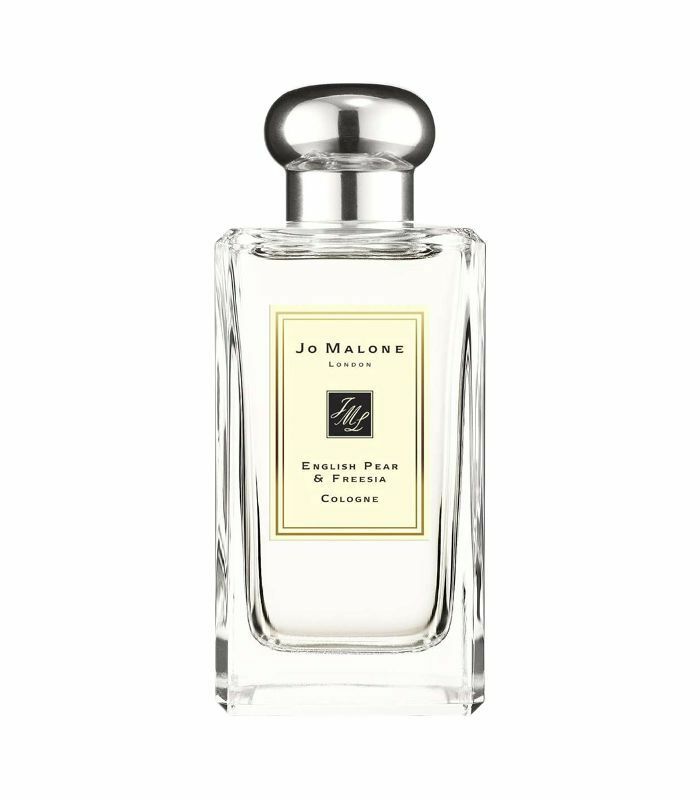 Jo Malone English Pear & Freesia Cologne captures the warm and inviting essence of the season with just a single spray. It features hints of fresh fruit and florals—without being overly sweet—and instantly gives us that cozy, familiar feeling of fall. The fragrance was inspired by a walk through an orchard, so we weren’t surprised that this airy scent made us want to venture outside. We’re all about experimenting with our beauty routines and personalizing them, so we love that this mild fragrance can be layered with other Jo Malone colognes to create a truly unique scent that fits our mood. We’re just as keen on wearing it alone, and you may even find us adding a spritz or two to our hair (seriously, try it). Stock up on Jo Malone English Pear & Freesia Cologne for yourself and your friends for the holidays at Nordstrom.com. Want more from Jo Malone? We don't blame you. Shop the rest of the fragrance collection now. Can You Guess Which New Fragrance Keeps Selling Out at Sephora?